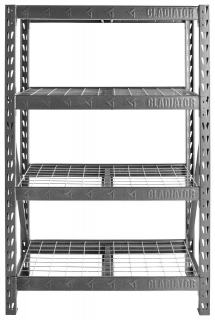 Gladiator brand's new Rack Shelving completes any storage area and helps you customize a space into a reflection of yourself without sacrificing durability. 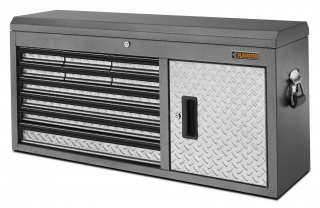 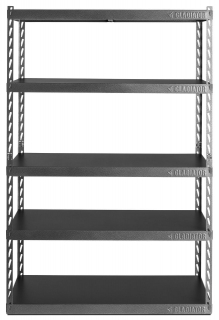 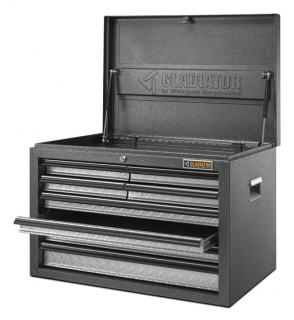 Store large and bulky items on the Gladiator® Rack Shelving unit. 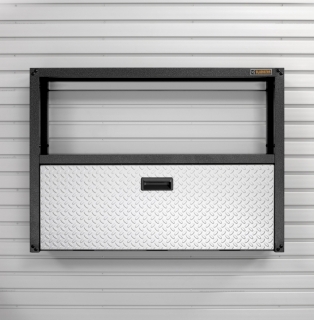 This storage unit is fast and easy to assemble at home, and does not require tools. 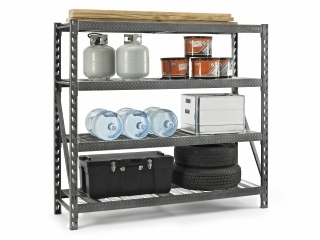 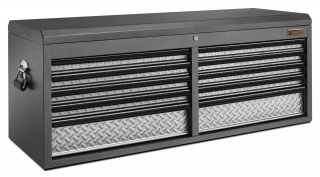 The welded steel frame features four metal shelves that can support up to 816kg (1,800 lbs) each, and the dual slot profile allows for additional supports and shelves. 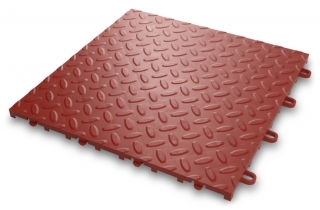 Also available in 122cm (48") wide x 46cm (18") deep and 196cm (77") wide x 61cm (24") deep configurations.